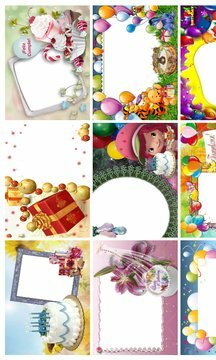 - Software Collage Birthday allows you to edit, collage is simple and easy - with 1 storage frame for birthday themes and rich diversity will bring to you, friends and relatives of the picture very vivid picture, fun and meaningful. - Birthday is a special day, but only once each year, the day will have friends, relatives, the most important side to congratulate you for the day that you were born. In that moment you will feel so happy and fun, the photos in that moment will save the beautiful and sweet memories of you and your loved ones and friends. Then edit and software will make your pictures even more sparkling and more beautiful. 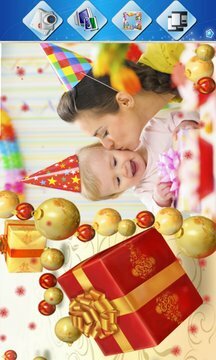 - You can also use software Birthday Frames to edit out the beautiful photos donated to the people you love, your friends and relatives. Then they will feel the love and care that you give them so meaningful and deep public seems.